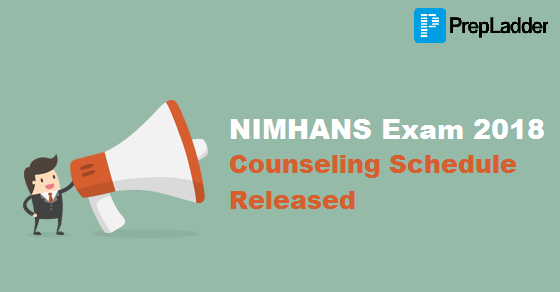 Here is an important news for the candidates who have cleared NIMHANS Entrance Exam 2018 and are going to participate in the Counseling round. Time Table for Counseling/ Interview of selected candidates for the Super Specialty/PDF/Medical & Non-Medical Courses for the academic year 2018-19 has been released. We are here to update you regarding the counseling dates, venue and the process. The selected candidates who are willing to join any course at NIMHANS should submit all the documents/ certificates at the time of admission along with 5 set of copies of the same. For details regarding fees and seat matrix, you can refer to the Prospectus. Haven't checked your Result yet...? You can check your NIMHANS 2018 Result here. More updates will follow soon..